I had a problem. A big problem. My countertops were always covered with papers of all types. It was annoying, frustrating and just plain messy. It stressed me out; I wanted a solution. 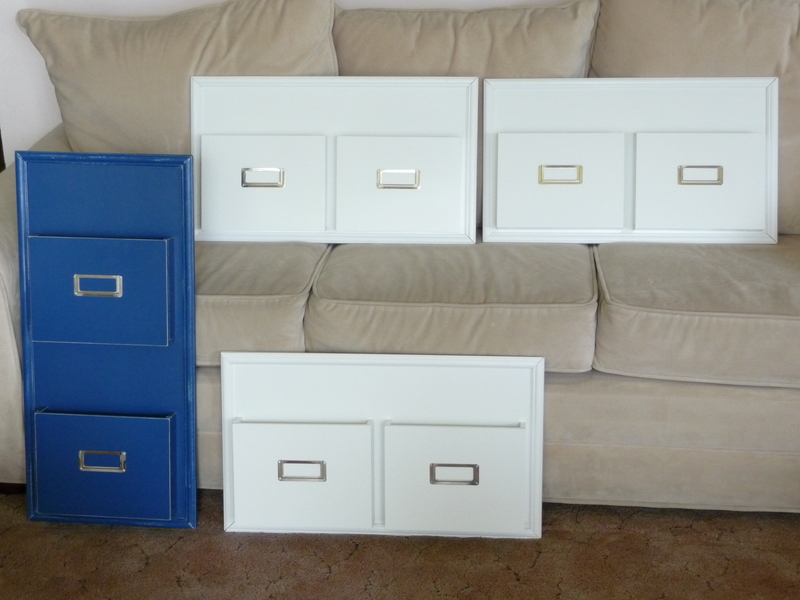 Most paper storage is either cheap plastic or heavy-duty cardboard. Translation: not sturdy enough. While this one is kind of cute, I don’t want anything see-through or with slits or holes where paper could get caught or fall out. Ugly; not something I want hanging on my wall. If you like it — I’m so sorry. No way to label it. If it does have labels, the design is poor and papers cover up the label holders. In the above example, the top pocket’s label is covered up by the bottom magazines (sorry the picture is so small). The pockets are too narrow to hold school folders or most papers (unless you fold them). While this system looks impressive overall, please notice the angled out pockets holding the newspapers and magazines (far right). 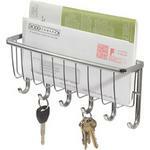 If you put regular paper in this type of holder, it will just flop over the edge because of the angle. I know. I’ve tried it. I was a little discouraged. Then I thought “Why don’t I design something myself?” And my Wall Files were born. 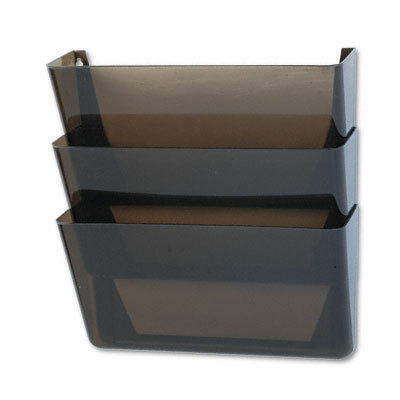 Wall Files are the perfect solution for your paper problems. 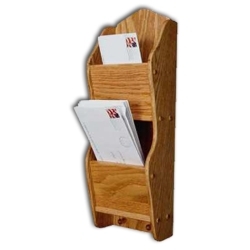 They keep school papers, magazines, mail, newspapers, schedules, etc., off of your counter or kitchen table and display them attractively on your wall. Each labeled pocket is wide enough to accommodate manila folders and tall enough that anything you put in them won’t sag over the top. Each Wall File is handcrafted by me. I put in many hours of work to achieve a high quality piece of furniture that will last a lifetime. I go through a detailed process of cutting, hand sanding, assembling, gluing, nailing, painting, sanding again, painting again, distressing, sealing and finishing. Because I do this by hand, each one is slightly different, which adds to the charm of these pieces. 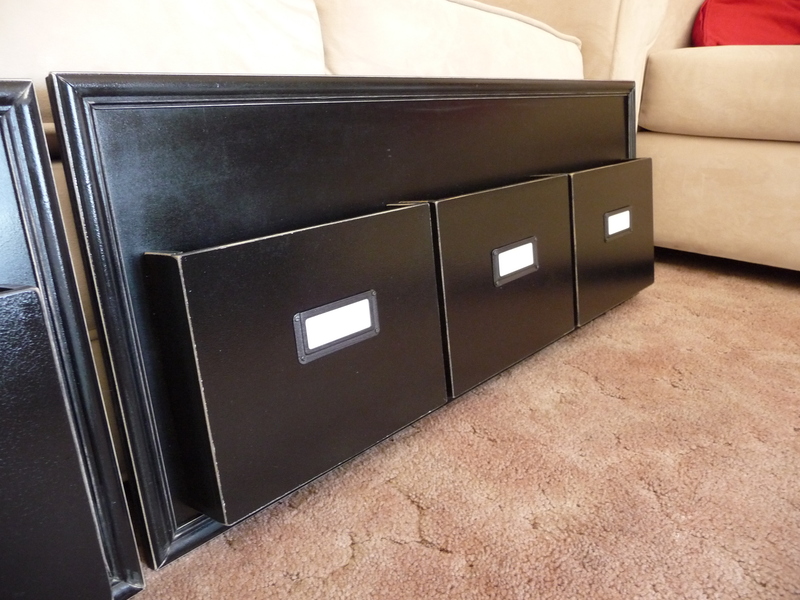 I guarantee my Wall Files are extremely sturdy, well-built and beautiful pieces that will compliment any decor. Click HERE to get the measurements. I’m so glad you like them! I look forward to making some for you. Enjoy your day! I have all the same complaints about the other wall file systems you showed, so I’m really loving your design. How much are yours? Are you still making them? I’l reply to myself since I actually navigated around and found all the answers I needed. Thanks. I think I might go get some timers now, too. : ) I may or may not be ordering. I don’t know if I can wait until next spring! My husband’s handy, so maybe I just need to design my own, like you! Thanks for the inspiration. I will be here and look forward to making you a Wall File if you can wait until then. Enjoy the upcoming holiday season! 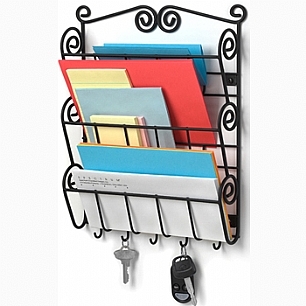 I was interested in a 3-file wall file in black. I was hoping perhaps you had one in stock and if not, what the lead time would be? Thanks for your interest in my Wall Files. They really are a life saver in the paper department. I don’t have any in stock as I make them to order and never know what people are going to order. Although if my business gets bigger I will definitely need to do that in the future. Right now my shop is closed because it’s an outside shop and I live in Utah – too cold to build these and paint them. My shop re-opens March 1st. That means that if you place your order either now or on March 1st then they should be done about a month from when my shop re-opens, so April 1st. I’d love to make you one, so please let me know if you’re still interested. I would like to order. Send me an email at organizedbyjenn@gmail.com & we’ll go from there. 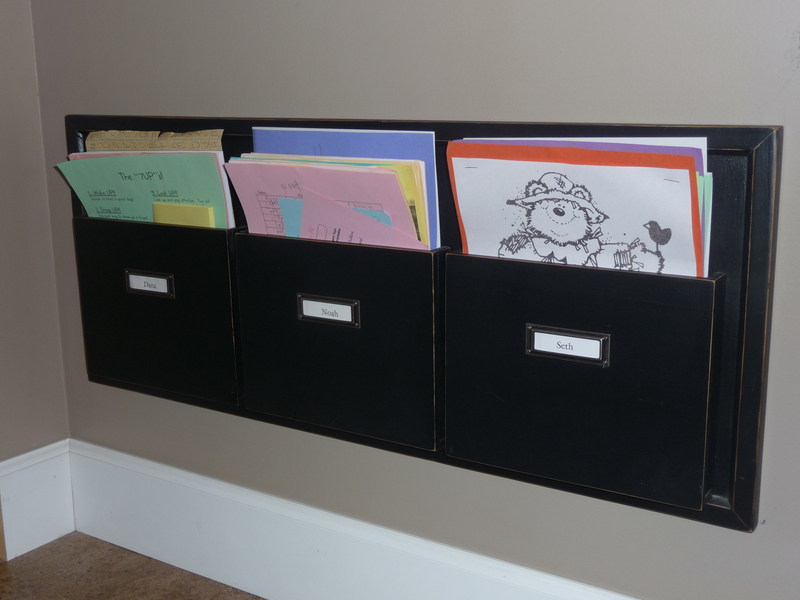 Include the type of Wall File (horizontal or vertical), how many pockets, the color & how many you want. I love your wall files, but am wondering how they hang on the wall? Do you have a picture of the back of one? Christy, I apologize for taking so long to get back to you but I’m glad you found me and love the Wall Files. They are such a life-saver for me with all the papers we’re bombarded with on a daily basis. If you have any more questions, please don’t hesitate to ask! Your wall pockets look amazing! And after searching around, I completely agree with other comments about your thought process: you have made something unique, and it is so exactly what I need. Is there any chance you have a horizontal 3-pocket in white available to sell now? If not, I’ll have to see if we can hold out until the Spring. And please know that I understand your crafting process and that it is unlikely you have anything already built on hand, but just have to ask! I believe I have finally found an answer and a solution for my frustration with paper organization and all the ugly manufactured options! Yes, I am still in business! My shop is open from March 1st to November 1st. I take orders all year round but only work on them during those months (I don’t have an inside shop so I’m at the mercy of the weather). What would you like to order? I will put you on my list & start your order March 1st. Thank you for your interest & I look forward to hearing from you.